I use this in the AM, and it is a very gentle exfoliating cleanser. 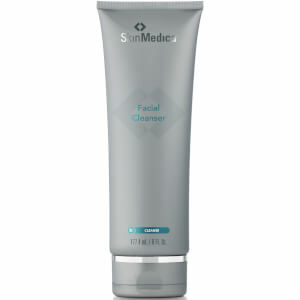 I have very sensitive skin, but I don't have any problems with this cleanser. It is great. This is the best cleanser I have ever used. It gently exfoliates and foams up very well. I have used many different cleansers but this is my all time favorite. I have used this every night for over a year. My skin just loves it. 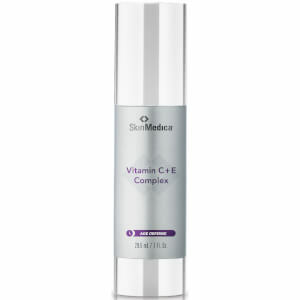 I added this lovely item to my melasma treatment regimen. I use it once a day at night, before my Obagi clear-fx, tretinoin and blender. It is gentle enough NOT to irritate my skin but effective enough to remove all traces of makeup. My skin is smoother and the pores are shrinking. I have been using medical-grade skin care products for many years. 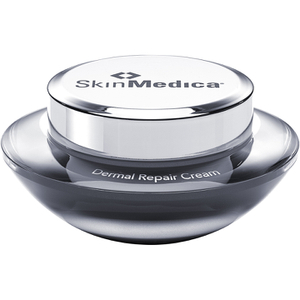 this is my first experience with SkinMedica and it won't be my last!!! This is obviously a high-quality product, but I needed something grainier (Or with a stronger concentration of acid?) to deal with the exfoliation I required. Great if you need a gentle exfoliant. Exfoliation is necessary for everyone. This product cleans my face and I feel the smoothness immediately. I only use this product 3x weekly at night only. Too much exfoliation may not be good for our skin. I use Retinol the nights I use this product. My skin looks wonderful. Amazing product. I absolutely love this cleanser and its benefits. I have been using it for a couple of weeks and I already see a difference. I will be ordering this again for sure. I love this exfoliating cleanser. I use it with a Clarisonic and it does an amazing job. It is so gentle but so effective. I have sensitive skin and I cannot use many exfoliators. This product is fantastic. LOVE IT. Use it daily and it gives my skin a healthy glow.